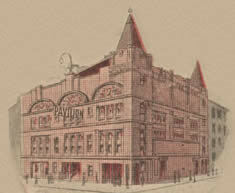 Designed by Bertie Crewe for Thomas Barrasford, the Pavilion Theatre opened at the corner of Renfield Street and Renfrew Street, Glasgow on the 29 February, 1904. It was regarded as luxurious for its time with its decor being described by the owners as “pure Louis XV”. An electrically operated sliding roof ensured good ventilation. 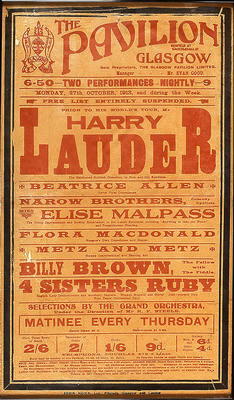 Performances in the early days were mainly variety, melodrama and pantomime. 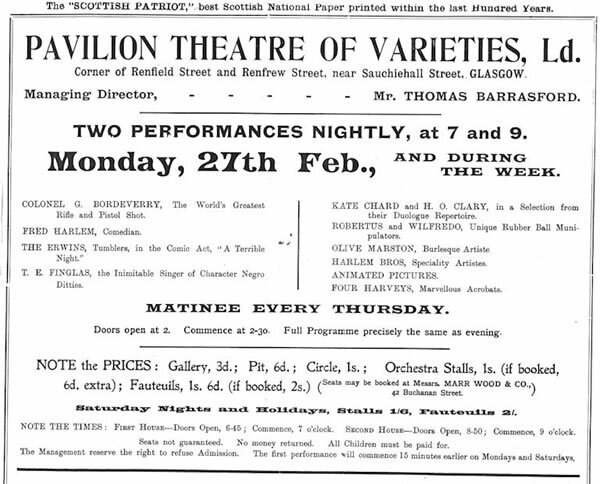 Many of the leading music hall artistes of the period appeared at the Pavilion, including Marie Lloyd, Little Tich, Harry Lauder, Florrie Forde, Will Fyffe, Sarah Bernhardt and a then unknown Charlie Chaplin. 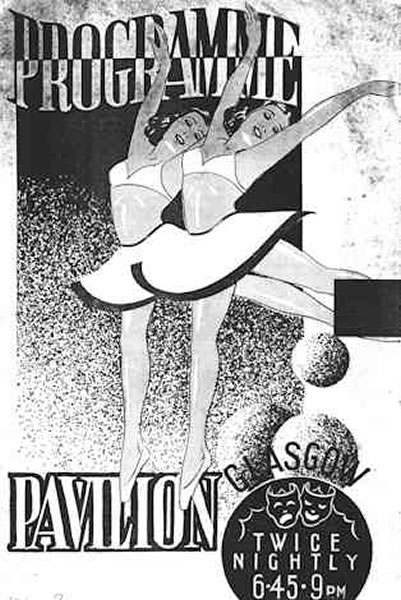 Since the 1930s, the Pavilion began to host pantomimes with top name stars of the Scottish variety scene, such as Harry Gordon and Dave Willis. 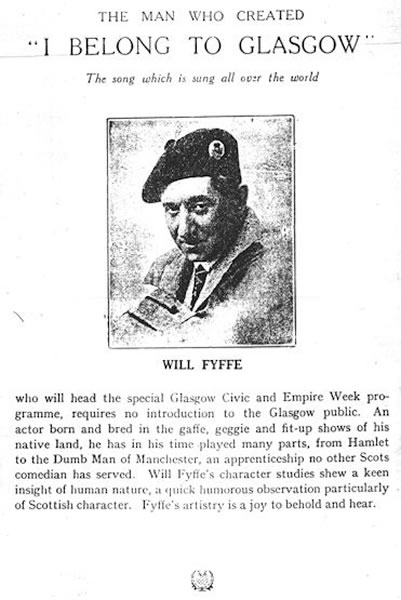 In more recent times it has produced plays, such as ‘The Sash’ and ‘The Steamie’. 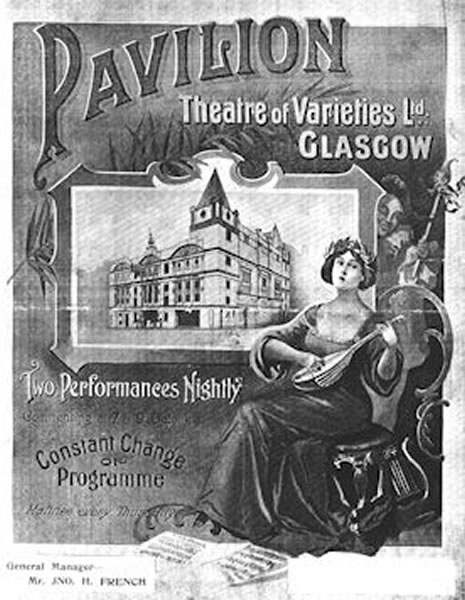 The Pavilion Theatre is now the only privately run theatre in Scotland and one of a few unsubsidised independent theatres left in Britain. 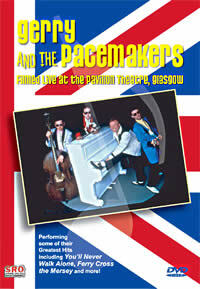 “Defying all the odds, Glasgow’s Pavilion regularly purveys variety to this day. All the more remarkable as it is completely unsubsidised and receives no funding from the Scottish Arts Council and kindred bodies whose thoughts and cash are directed at higher cultural activities. It remains the last stronghold of a long music hall tradition in Europe’s City of Culture owing everything to a dedicated staff and patrons and nothing to the public purse. With its imposing terra cotta facade, the Pavilion Theatre of Varieties was designed by Bertie Crewe in the grand manner for Thomas Barrasford. The domed ceiling was surmounted by an electrically controlled sliding roof for ventilation. Fine Rococo plasterwork on the circle, balcony and box fronts; decoration executed in pure Louis XV; handsome mahogany woodwork and the marble mosaic floor all lent the 1800 seat theatre an aura of splendour. 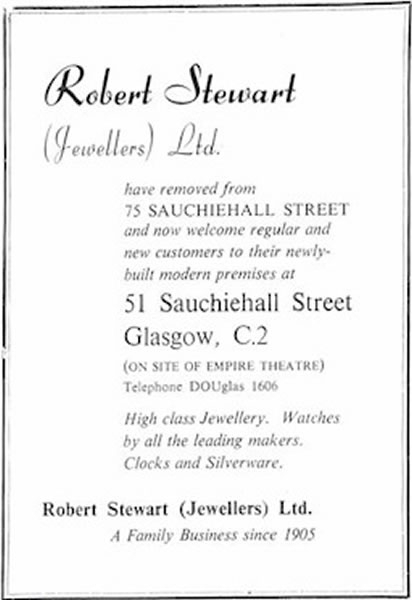 No less amusing than the dentist advertising in the Pavilion programme “painless extractions with nitrous oxide for 4/- (20p) or cocaine for 1/- (5p)”, were the press observations on the “fashionable company” which attended the Pavilion’s first house on 29th February,1904. We learn that “among the elite there was quite a preponderance of ladies and gentlemen of quality in evening dress”. Alas, class consciousness and respectability were all in Edwardian Britain! All the eminent music hall worthies turned up at the Pavilion at some time or other, none more so than FLORRIE FORDE. 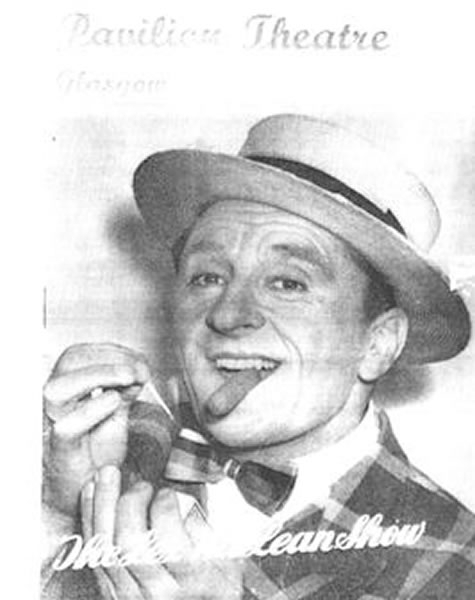 A strong pantomime tradition was established in the ‘thirties with HARRY GORDON and DAVE WILLIS alternately playing eight weeks at the Pavilion before moving east to the Theatre Royal in Edinburgh. The ‘forties and ‘fifties saw pantomime runs of sixteen weeks for JACK ANTHONY (with BERTHA RICARDO and BOND ROWELL) and lengthy summer shows for TOMMY MORGAN (with ‘TOMMY YORKE; JIMMY HILL and MARGARET MILNE). These happy and hilarious summer seasons were emulated during the 1960s and early 1970s by LEX McLEAN (with JIMMY CARR & VONNIE; RON DALE, and MARGO BENTLEY). Plentiful belly laughs were assured when the master of timing with his clever one liners and asides was the central figure. Another regular crowd puller to Renfield Street was JACK MILROY with his clean infectious humour, seen at its best in the Pavilion’s Diamond Jubilee “World of Widow Cranky” adventure in pantomime with CHARLIE SIM and SALLY LOGAN. LULU from Dennistoun (real name Marie Lawrie) broke box office records in 1975 with her irrepressible vitality and joyous personality. 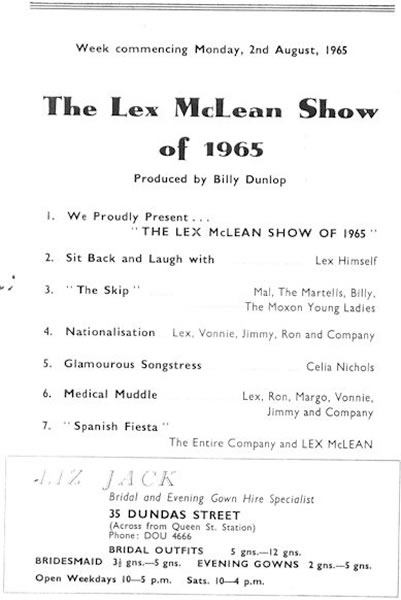 BILLY CONNOLLY, HECTOR NICOL, GLEN DALY, FREDDIE STARR and ANDY CAMERON portrayed their own distinctive brands of humour while Scottish songstresses LENA ZAVARONI, SHEENA EASTON, LENA MARTELL and BARBARA DICKSON also scored heavily with Pavilion audiences. 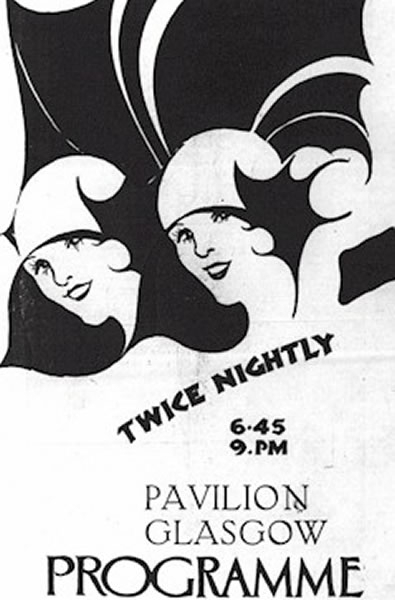 It was anything but plain sailing for the Pavilion and there was gloomy speculation of closure after incurring heavy financial losses in 1981. 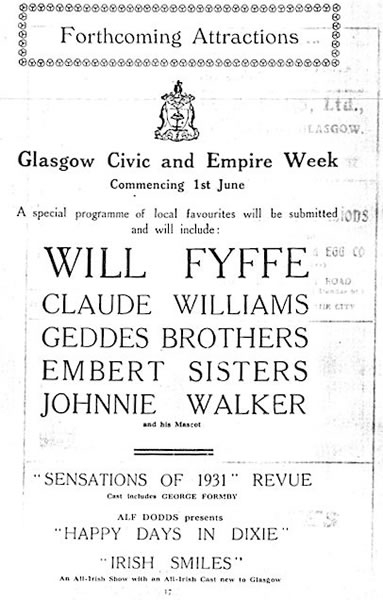 Spared the fate which befell the Queens, Metropole, Empire, Alhambra and Empress Theatres, the 80 years old Pavilion was rescued by James Glasgow and transformed into a modest profit maker. Smash-hit shows with SYDNEY DEVINE; spells from hypnotist ROBERT HALPERN; pantomime with DENNY WILLIS, and one night gigs from the foremost modern television entertainers have kept the cash tills registering. The Pavilion also played a major role in the annual Mayfest – Glasgow’s International Festival of popular theatre, music, the arts and community programmes. 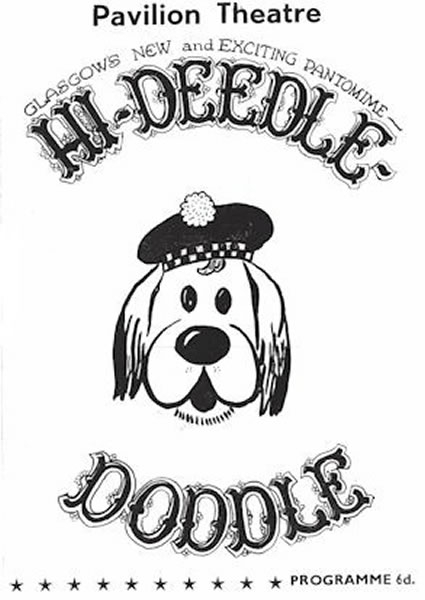 The Scottish Music Hall & Variety Theatre Society, grew from The Sir Harry Lauder Society which was founded in Sir Harry’s birthplace, Portobello, in 1979. Its aims are to advance the cause of Scottish Music Hall & Variety Theatre and bring people together who are interested in this most vibrant of Art Forms -The Scottish Music Hall and Variety Theatre. Our members come from both sides of the footlights and include many artistes who are still performing in Variety, theatre historians, journalists and, above all, the theatre going public who filled the seats in the Empires, Palaces, Palladiums etc, all over the country and our membership ranges worldwide. 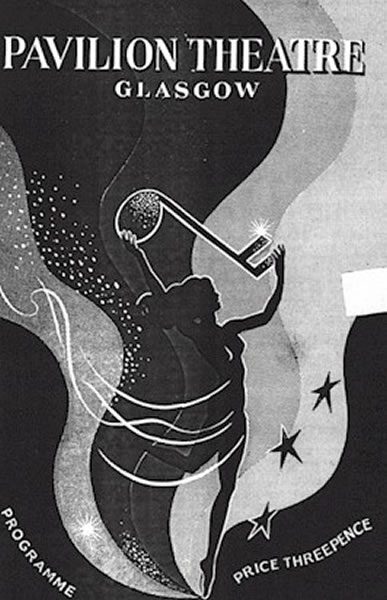 The SOCIETY produces a quarterly magazine titled “STAGEDOOR” and this is issued to our members every Winter, Spring, Summer and Autumn. 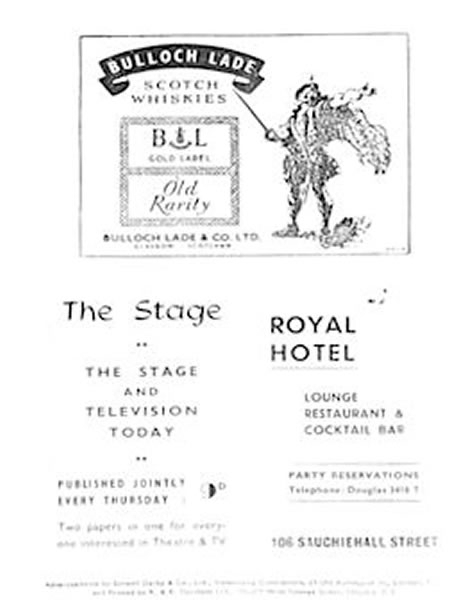 “STAGEDOOR” features many articles about your favourite Music Hall and Variety Artistes. The Society also runs various events throughout the year e.g. lunches, coach trips, exhibitions and theatre visits etc. This Society gives one an opportunity to reminisce of the “Glorious days of Music Hall and Variety Theatre”. Today the Society maintains a vested interest in supporting the live Variety Theatre of today as an Art Form.